|Tire Warranties|How do Tire & Wheel Warranties Work? How do Tire and Wheel warranties work? Essentially, warranties like these are policies that can cover repairs for wheels and tires for cosmetic damage, potholes, nails, and so much more, with only a one-time initial charge. These policies are offered for many tire and rim brands, including Continental brand tires, and are especially good for leased cars. Tire and wheel warranties are also ideal for pre-owned vehicles up to 10 years old as they can still be covered under certain warranty plans. Whether you are looking for BMW tire and wheel protection, or you own a Toyota or any other vehicle, we can arrange a discount tire warranty for you. These plans can be tailored towards new or leased vehicles, and pre-owned vehicles can still be covered under select plans that can provide equal amounts of protection and coverage for your wheels and tires. We recommend taking full advantage of these plans to help ensure that you are getting maximum coverage and long-term value for your new or pre-owned vehicle. As a bonus, some of these plans can be passed to the new owner of a vehicle in the event that the original owner sells it. This helps create confidence and security, which are two essential things that are needed for a successful vehicle ownership experience. Lastly, many policies also come equipped with road hazard insurance for tires that helps cover damage from common hazards such as potholes, debris, nails and more. This road hazard insurance, as well as the aforementioned tire and wheel policies, helps create a ring of protection that shields you from the bulk of the cost associated with fixing damage to these crucial components, with the remaining costs being both value-oriented and friendly to your budget. Occasionally, a damage waiver is included with certain tire and rim plans to help provide limited coverage if the tires or wheels need to be fixed or replaced due to the effects of a collision. 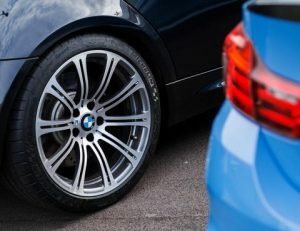 With all of these advantages and so much more, it’s easy to see why a wheel and tire policy for your vehicle can be an excellent investment for you and your family, especially in regards to safety, and their ability to withstand the rigors of daily driving. Our website also sells tire and wheel warranties for exotic cars, with all makes and MSRPs covered. Contact us to find out more about aftermarket tire and wheel policies and enjoy the peace of mind of tire and wheel protection all year round.